I have heard several urban legends about this type of work, and have heard a different way to cast this certain magick with each story. When it comes to this type of spell, I have acertain amount of skepticism, but through my experiences with the occult and such I have learnt to never rule something improbable as impossible. I was wondering if anyone had any preferred methods of casting this type of spell. What way did you prepare the materials? How did you get the material into/onto the victim? What happened to the victim? Also, what is the most effective way to reverse this kind of magick? Live Things is not an urban legend, but a strong belief in southern conjure practices. I have seen this first hand and it's nasty. Though I was taught how to do this, I don't teach this type of work to others. If you want to learn more about it, please pick up Miss cat's book Hoodoo Herb and Root Magic where she devotes a large entry to it. I only called it an urban legend because I haven't heard a primary account of it from any of the many root workers in my area, only stories of other people's experiences. I mean no disrespect. Ali, would you be willing to give the cure to this work, if you know it? The beneficial part of the process would be valuable to know so I could possibly help someone in this situation. But if not, that is fine. Does Miss Cat's book tell how to preform this work? 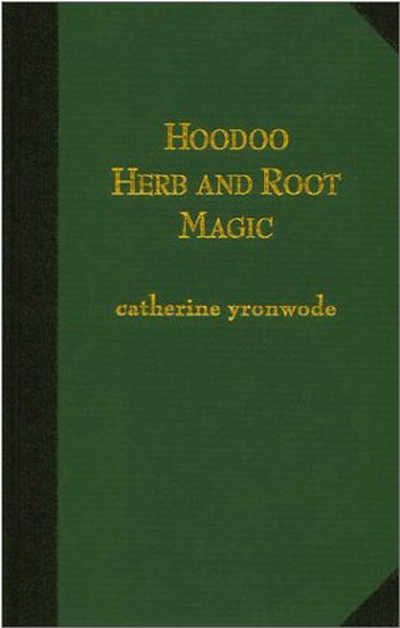 Miss cat's book "Hoodoo Herb and Root Magic" describes several ways to cure Live things in you. But does her book tell how to perform this magick? It does talk about theories how one gets live things in you, however it is my experience that few people have this power. I don't wish to preform this, haha, no way! Too dark for even my tastes. Thank you guys so much! Hello I want to preform this on someone, I know its a dark spell, what are the best cleansing methods for this kind of work after I have done this. I was actually contemplating the D.U.M.E candle so LTIU is a step down and less aggressive then dume. So what would be the result you can think Im a horrible person for wanting to do this but it has to be done. Are there any warning I need to be worried about? Live Things in You is not ''a step down'' from D.U.M.E., it's just different. Historically, live things is a condition that has killed people when it isn't removed. That said, it's not my job to judge what you're doing nor why: God takes care of that and the efficacy of your work will also ultimately be decided by Him. To cleanse, you would do so as for any dark work: hyssop bath while reciting psalm 51 to cleanse yourself and chinese wash and/or van van washes to cleanse the work area. I'm having second thoughts now this man is so evil, ill just have to deal with it. And work on something else. Stuck with a hex, in need of help, this is serious. I help an elderly person by doing a service for him. because he was being ripped off and he was paying a wage for no service at all, he hired me, but the person that works on Monday and Friday is a friend of the one that was terminated, so she hexed me and the elderly man. So now I've had feeling of movement in my stomach like worms inside me and lots of pain. I've never heard sounds like this. demon sounds. This lady is dangerous and all because they were misusing someone that really needed care and I ended up with a feeling like worms on me and sounds coming from my stomach. As I'm typing this has been going on a month. Jesus rebuked demons from a man in the Bible -- why can't I get them out of me? Its driving me mad. I wanna take a knife and stab them out. I was wondering: What is an internal curse, and what steps can be taken to remove it? Are there any books that you can recommend that at least describe what it is? You see, I've been searching the Internet and well, I haven't been able to find out anything about internal curses. Unless I'm on the wrong search engine or something, I've seen no mention of it with any relevance. Thank you and I'm looking forward to seeing you in the light! I believe that you are talking about: "Live Things in You"
Hi Miss Aida! Thank you & sorry for posting in the wrong subforum! Whoops, my bad! -_-" I am grabbing the book as we speak! Hi there! I have received the book & I really do like it! It's awesome & interesting! Good to hear michi, I hope to get a copy soon. You can buy the book right here! A couple of years ago I asked a lady who did hoodoo, to do a spell for me which would change this mind of a woman who was going to swap flats with me. The night before she said she would perform the spell, a really strange spirit visited me. I was in my bedroom and there was a presence, I knew I was being watched, and said it to myself. I asked in my mind's eye to see who it was. I'd never seen anything like it before - it had a black girl's head which was grey in colour, eyes mostly shut, black eyes. Cream coloured rings around her eyes, and her hair tied back in a bun. And it had an eel like tail. That was it, a head of that description and a tail, and it wanted to go inside of me. I let it, for some reason, and after a minute it went inside around my belly and I could feel its tail wriggling as it was swishing around me, including inside of my own "energy" as well as my physical body. After about 5 minutes it disappeared. Does anyone know what it was? Thank you very much. Please please please NEVER allow (or give permission) for anything to go inside of you. NEVER! I don't know what it was as many entities can shape shift. Quite a few things come to mind: some bad a couple good. But, it doesn't matter what I suspect. What matters is that you NEVER give permission (which evil entities view as an invitation to do whatever they want) to allow something that you don't know do that. Yes, I see what you mean about my username, I do not want to give that impression either. I will change it. Would a reading be able to determine what it was that went inside me? I will take your advice and never allow anything into me again. i was blueberry back in the days if you scroll up......i never did preform that live things in you spell and guess what? he ended up killing me well i ended up in hospital nearly on life support, wish i did the live things in you spell years back then in 2012 way back 7 years ago. But i cared about the consequences and still nearly died. But never.